The first review on Chef Craig’s Beef Jerky will focus on a 1.75 ounce/50 gram bag of their original flavored beef jerky. 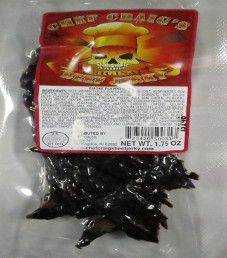 The flavor is described as having a dry, chewy texture that is slightly spicy with a good deal of sweet and smokiness. This flavor was kindly submitted for review by the founder, Chef Craig Mitchell.